Time is almost nigh for my commercial dive course. I am doing it through Jacks Dive Chest, based out in Strand. I completed my medical on Friday for it. 3 hour long medical with ECG tests, X-rays, Urine, balance and hearing tests. So I finished all my stuff a little early and decided to go have coffee, in retrospect it was not the best idea as the caffeine and probably nerves too increased my ‘resting’ (beating a mile a minute) heart rate to 57bpm (normally low 50’s). First was some lung capacity check thing, I had to breath in as deeply as I could then exhale (through this tube in my mouth) as hard and as fast as I could, then continue that for 6 seconds. It is incredibly painful to continue blowing out through your diaphragm when you have nothing left to blow out. The result were pretty good, I have a lung capacity of 7.8L and I can expel 88.7% of the air in my lungs in the first second (not sure what that really means, will find out more on that later). Next was my HR and blood pressure check, remember the coffees I had? Yea, my BP was 131/85 little high. Next I had to lie back and got the ECG machine hooked up to me. I then had to get on an exercise bike and do a rather tough 5:30 hill climbing cycle, after that I was hooked up back to the ECG and had my HR measured again it was now at 146bmp, after lying on the bed for 3min it was down to 65bmp. My Dr said it was pretty good but my brother the elite cyclist said I was unfit, yes Deon I know :). 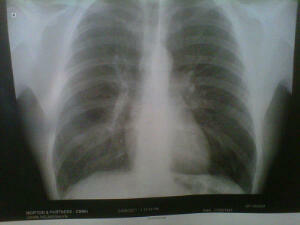 Next was a gruelling 1hour wait to get my chest X-rays done. Then a few balance tests and a hearing test they all went pretty smoothly. So all I have left now is to complete this course, 8 weeks of diving, theory and hard work…BRING it on! I will try and keep an update/log about my adventure as often as I can.